Compared to a year ago, much has changed in terms of warranty claims, accruals, and reserves. Key ratios suggest that some companies are enjoying vastly reduced repair costs thanks to quality gains. However, for the largest manufacturers, the percentage of sales they spend on warranty hasn't changed much. The hundred largest American warranty providers turned in an improving set of numbers for their warranty expenses during the first half of 2008. Compared to 2007, 51 of the top 100 warranty providers reduced the percentage of product revenue they spend on warranty claims, and 56 of the top 100 reduced the percentage of revenue they set aside as warranty accruals. And then 57 of the top 100 increased the size of their warranty reserve funds, comparing balances reported on June 30, 2008 to those reported on June 30, 2007. But that of course means that almost half went in the other direction, with 49 paying out an increasing percentage of revenue for claims, 44 setting aside an increasing percentage of revenue for accruals, and 42 allowing their warranty reserve to shrink (one company kept it exactly the same size a a year ago). 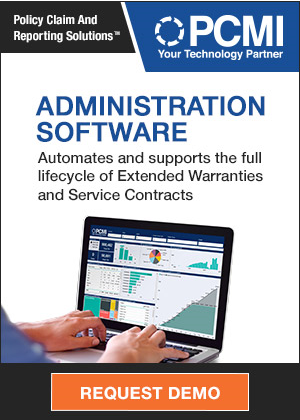 Each manufacturer is now required to report their warranty reserve balance along with the net dollar amounts spent on claims and set aside as accruals. Each quarter, we take these numbers and compare them against a company's product revenue, to see how things have changed over time. Because each company counts warranty a little differently, we can't compare one company against another. And of course each type of product line has its own warranty characteristics. So rather than comparing companies against each other, what we do is compare each company against itself over time. And then we compare the year-over-year changes, finding out which manufacturers went up or down the most. In Figure 1 below, the ten biggest decreases in claims rates are listed. There are primarily two reasons for landing on this list. One is that sales increases so quickly that repair costs haven't yet caught up. The other is that repair costs fell so fast because product quality improved so much. To help readers tell the difference, we've listed both the dollar amounts (in millions) and the percentages of revenue for both 2007 and 2008. So if the dollar amount hasn't changed much but the percentage has, it's probably increased sales driving down the percentages. But if both have changed dramatically, it's probably more to do with product quality. We'd love to list a reason next to each company on the list, but strangely enough these key ratios aren't given a whole lot of publicity. And we'd love to be able to say that such-and-such is 70% caused by sales changes and 30% caused by quality changes, but that would take the whole exercise away from math and into conjecture. In the list below, Nortek Inc. drove down its claims rate from 1.1% a year ago to 0.2% in 2008 almost totally by reducing repair costs. Product sales were actually down a bit, from $1.197 billion in the first half of 2007 to $1.187 billion in the first half of 2008. But claims fell from $13 million to $8 million, and the claims rate therefore fell by 80%. It was the same story for Owens Corning, Medtronic, Bucyrus International, and Whirlpool. Claims fell by large amounts, while sales didn't, so the percentages fell dramatically. It isn't until one gets further down the list that there are companies with only modest declines in claims paid magnified by massive increases in sales revenue. The opposite effects are in play for the ten companies of Figure 2 that showed the largest increases in claims rates. A jump in claims paid combined with a decline in sales translate into percentage increases anywhere from 66% to as much as 119% in the case of homebuilder Hovnanian Enterprises. Another homebuilder, Lennar Corp., actually cut the amount of claims paid, but sales fell even faster, so the claims rate went up by 88%. And then of course there's the Microsoft situation with the Xbox 360, which if you remember didn't become a public issue until the end of June 2007, which was also the end of Microsoft's fiscal year. The company reported a massive increase in claims and accruals in that fourth fiscal quarter (corresponding to the second calendar quarter of 2007) and the story has continued into this year. It was a much different picture three months ago. In the Warranty Week issue of June 12, 2008, Microsoft's claims and accrual rates were up by absurd amounts, because the comparisons were being made between the pre-crisis first calendar quarter of 2007 and the post-crisis first calendar quarter of 2008. Now, as the one-year anniversary of the beginning of the Xbox crisis passes, the year-ago comparisons will begin to look more realistic. Oh, we should mention that in all cases we used the most specific data available for warranted product revenue. So in the case of Microsoft, that includes game consoles and computer peripherals, but not software. Windows and Microsoft Office may carry product warranties, but companies don't normally accrue funds to pay claims or repair computers. The warranty is simply to send out a new disk if the old one is defective. With other companies, we have done the best we could to subtract out all the non-warranted revenue from sources such as insurance, mortgages, investments, service, consulting, consumables, and software. In a handful of cases, companies prefer to detail their revenues geographically, so we have made estimates of their service and software revenue and subtracted them from the percentage calculations. The claims rate can mislead, because what it does is to compare the cost of repairing last year's products to the revenue earned from this year's sales. In the case of homebuilders, for instance, they're fixing last year's homes with this year's shrinking revenue base, and it's showing up in the percentages. Because of the time lag between when a product is sold and when it is repaired or replaced, the claims rate in and of itself isn't the best indicator. However, that time lag isn't a problem with the accrual rate. If the cost of repairs is expected to be 2% of revenue, then for every $1,000 in revenue a manufacturer is supposed to set aside $20 in the warranty reserve fund. If sales soar, so do accruals, exactly in proportion. If sales fall, so do accruals. Accruals are the percentage of current sales that are set aside to finance future repairs for those units. There's no time lag. In a way, the data in Figures 3 and 4 can be used to confirm the findings in Figures 1 and 2. If a company appears on a matched pair of lists (Figures 1 & 3 or Figures 2 & 4), then there really is something going on besides changes in sales volumes. And sure enough, six of the ten companies in Figure 1 are repeated in Figure 3, including BorgWarner, Bucyrus International, Juniper Networks, Nortek, UTStarcom, and Whirlpool. What this pairing is in effect saying is that the claims rate fell, and the company adjusted its accrual rate accordingly. And that suggests it had less to do with sales and more to do with quality gains. For instance, Whirlpool saw a 49% drop in its claims rate and confirmed it with a 48% drop in its accrual rate. Juniper Networks saw a 47% drop in its claims rate and confirmed it with a 45% drop in its accrual rate. That's great news for customers and investors alike. None of the top ten claims rate decreases listed in Figure 1 were also on the list in Figure 4. That would be an absurd combination. But strangely enough, two companies that had the fastest-rising claims rates in Figure 2 were also among the fastest-falling accrual rates of Figure 3. One of them was Microsoft, which was clearly an effect of the run-off of the Xbox problem. How can you follow up an almost-billion-dollar accrual a year ago with anything but a massive decline? It's the opposite story in Figure 4. Any company that doubles its accrual rate in a year is subtly sending a message that something is breaking far more frequently than was expected, or is costing far more than was expected to repair or replace. That's not the kind of thing one would put into a press release. Beazer Homes tops the list because it simply chose not to make any accruals during the second quarter of 2007. All of the $4.5 million listed for the first half of 2007 was accrued during the first quarter of that year. So when the company resumed making accruals, the percentage increase could not be calculated, because this June's 0.1% rate cannot be divided by zero. One would wonder what kind of auditor signs off on an allegation that a quarter's products were flawless, but that's an issue for another day. There seems to be a lot of funny accounting in homebuilding these days. Hovnanian took the opposite approach, which hurts all the more when sales are falling. Last year it was setting aside 1% of its homebuilding revenue as warranty accruals, but now it's setting aside 2.7% of a shrinking base -- $41 million versus $19 million. At other companies such as Harman International, accruals are rising faster than sales, but at least both are rising. One the one hand, it suggests a quality problem has been detected and financed by the company. On the other hand, it suggests that the customer base hasn't heard about it. Then again, even Microsoft saw a sales gain for its game division, so perhaps it's true that any publicity is good publicity? We should note that while these top ten lists are calculated using the data reported by 100 companies, there are an additional 15 companies that were among the top 100 warranty providers but were excluded from this go-round because they reported no warranty data. So we included the warranty providers ranked #101 through #115 in 2007 to make the list a hundred names long. Four of the largest warranty providers of 2007 ceased reporting in 2008 because they were acquired by other companies: Avaya Inc., Gateway Inc., Trane Inc., and Goodman Global Inc. (more precisely, Goodman went back to being privately-held). Three ceased reporting because they felt like it: Exide Technologies, Goodyear Tire & Rubber Co., and Xerox Corp. Good thing the regulators aren't paying attention. And then there are eight companies that report their warranty data only once a year: Black & Decker Corp., Eaton Corp., Emerson Electric Co., Fortune Brands Inc., General Electric Co., Honeywell International Inc., Illinois Tool Works Inc., and Motorola Inc. We believe all eight of them will be among the 100 largest American warranty providers in 2008, because their annual data placed them relatively high up on the 2007 list. But without new data, it is impossible to calculate the annual changes for them at mid-year. For Figures 5 and 6, we're looking simply at the warranty reserve balances on June 30, 2007 and 2008, and computing the percentage change. Many of them can be readily explained by acquisitions or divestitures, which add or remove funds from the warranty reserve. Others can be explained by sales declines. If there are less units under warranty now than there were a year ago, the need for warranty reserves isn't as great. But then there's that third group for which explanations are not readily available. In Figure 5, for instance, Tyco is clearly a divestiture story. And in Figure 6, the presence of Ingersoll-Rand can clearly be explained by its acquisition of Trane Inc. The homebuilders made the list in Figure 5 because of sales declines, and Garmin made the list in Figure 6 because of sales increases. We also note that of the 20 companies on the top 10 lists of either Figures 5 or 6, 11 make an appearance on at least one other chart above. Eight of those occur in the same direction, meaning that the warranty reserve shrank as either the claims or accrual rate fell, or the opposite. However, for Beazer Homes, Credence Systems, and Novellus Systems, their appearances on multiple charts were in opposite directions. In other words, claims rose but they were not financed by increased accruals, so the warranty reserve shrank. Or even more perplexing, claims fell, accruals rose, but the reserve shrank anyway. Some of these pairings go well together, of course. For instance, if a company has doubled its accrual rate, chances are good that it also saw a big rise in its claims rate. And it stands to reason that the company also expanded its warranty reserve fund balance. With these six top 10 lists, no company could possibly appear on more than three charts. UTStarcom and Mohawk Industries achieved that, but in different directions. UTStarcom appeared on all three top 10 decrease lists, and Mohawk Industries appeared on all three top 10 increase lists. Eighteen of the top 100 warranty providers appeared on two lists: Advanced Micro Devices, Beazer Homes, BorgWarner, Bucyrus International, Centex, Credence Systems, Delphi, Eastman Kodak, Garmin, Harman International Industries, Hovnanian Enterprises, Juniper Networks, Microsoft, Nortek, Novellus Systems, Palm, Pulte Homes, and Whirlpool. And then eighteen more appeared on only one of the six lists: AGCO, Fleetwood Enterprises, FMC Technologies, Goodrich, Ingersoll-Rand, KB Home, Lennar, Medtronic, Monaco Coach, NACCO Industries, NCR, Netgear, Owens Corning, Quantum, Sherwin Williams, SPX, Tyco International, and Wabco Holdings. Which means that 62 companies made no appearances on any lists, including all five of the top warranty providers: General Motors, Ford Motor, Hewlett-Packard, Dell, and Caterpillar. Only two very large warranty providers made any of the top 10 lists: Microsoft due to the well-publicized Xbox 360 debacle and Whirlpool for cutting its claims and accrual rates in half. That seems to confirm a hunch we've had that things don't seem to change all that quickly for the largest warranty providers. Though they pay out the most, they also tend to have the best controls over their warranty processes. And their product lines are so diverse that a manufacturing crisis or a quality breakthrough is usually confined to a small portion of the installed base. Like a giant aircraft carrier, it takes them a long time to make any noticeable turns. Assurant to Acquire GE Consumer & Industrial's Warranty Management Group. Chrysler's internal numbers show a 29% decrease in warranty claims since February. Police dept. finds BMW motorcycles cost less to run and have longer warranties than Harley. Mazda lengthens RX8 warranty in Canada to eight years/160,000 kilometers. Zotac International lengthens warranty on motherboards and graphics cards to five years. Asus Royal Club in Bangalore offers longer warranties to those who register. Zale Corp. says extended warranty sales on jewelry increased 12% to $120.8 million. Sagem Communications lengthens multifunction printer warranties from one to two years. Brother International's Professional Series of color printers feature two-year warranties. AA Auto Warranty LLC joins the Automotive Warranty Services Association. Kyrgyzstan prime minister says crashed Boeing 737 had an extended warranty. Lawsuits allege warranty fraud by Florida congressman who also owns auto dealerships. Minnesota "lemon law" requires vehicles bought back by manufacturers to be so designated. Premier Election Solutions, formerly Diebold Election Systems, admits voting machines defective. Netgear opens service centers in India to speed product replacements and warranty work. Whether home warranty law gets onto the ballot is now up to Arizona Supreme Court. Arizona court rules lawsuit against builder can proceed absent a direct business relationship. Apple offers replacement for faulty MagSafe power adaptors. FTC bans unsolicited prerecorded telemarketing calls starting on Sept. 1, 2009. Eaton launches pre-approved warranty repair program for its North American truck dealerships. Dexter Laundry Offers Online Machine Warranty Registration. Dell to offer longer warranty to all customers affected by defective Nvidia cards. Kubota Australia begins selling extended warranties to its customers. Extended warranty seller pushes gap insurance sales to SUV owners. Early iPhone 3G customers complain of weak signals, dropped calls and slow surfing. Mazda in Illinois charges buyers for "Warranty Retail Parts Recovery." Consumer Product Safety Commission recalls 24,000 Perfect Flame gas grills sold at Lowe's. Arizona judge turns down effort to take Arizona new home warranty measure off the ballot. Daimler Trucks North America and TravelCenters of America broaden deal on warranty work. Warrantech and JVC expand extended warranty deal to cover consumer products. Nvidia takes $196 million charge to cover warranty costs on graphics chips. Homebuilders' attorney cites typographical errors in effort to stop Arizona warranty bill. BMW recalls 200,000 vehicles after logging 23,739 warranty claims over the air bag system. Porsche lengthens Certified Pre-Owned warranty to two years/50,000 mi in US & Canada. Chrysler executive says quality improvements drove warranty costs down 29% in the past year. SquareTrade says Sony and HP are most reliable laptops and Gateway, Apple, and Acer are least.